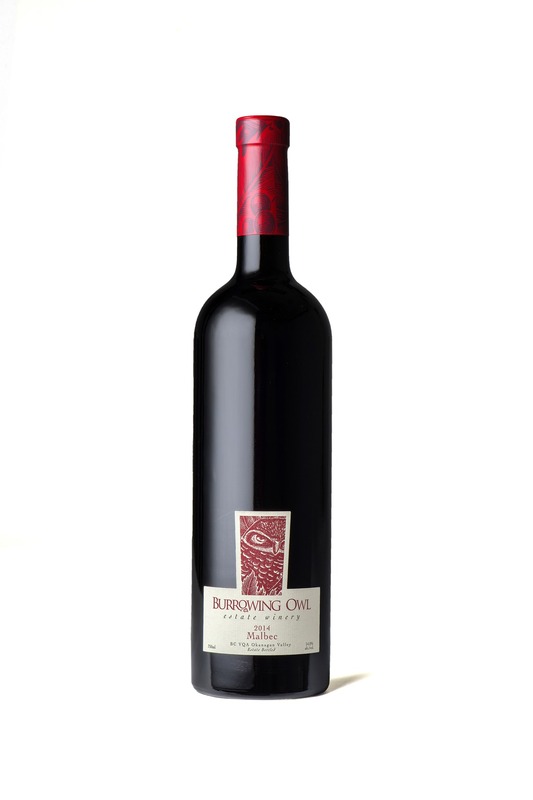 An intense nose of blackberry and black cherry fruit with baked raspberry and subtle and complex notes of pastry crust, vanilla, sweet baking spices, dark chocolate, mint and sage. The palate is dry, full bodied with lots of black pepper and paprika spice along with ripe blackberry, raspberry, blueberry and cassis with some vanillin oak in the background. A long finish with ripe tannins and with crisp acidity it maintains a juicy freshness. Pair this with chorizo sausage or braised lamb shanks. Rhys Pender, Master of Wine. The grapes were harvested by hand from Burrowing Owl’s Vineyards in Osoyoos on October 24th. They were destemmed and gently crushed before being gravity fed into stainless tanks for 10 days to allow for skin maceration and alcoholic fermentation. Both “free run” and pressed wine were then moved into barrels for the malolactic fermentation followed by ageing (18 months). The selection of barrels helped round out the tannins and contributed to complex savoury, toasted and spicy notes. After the blending of the barrels, the wine was bottled unfiltered and left to mature in bottle until its release.